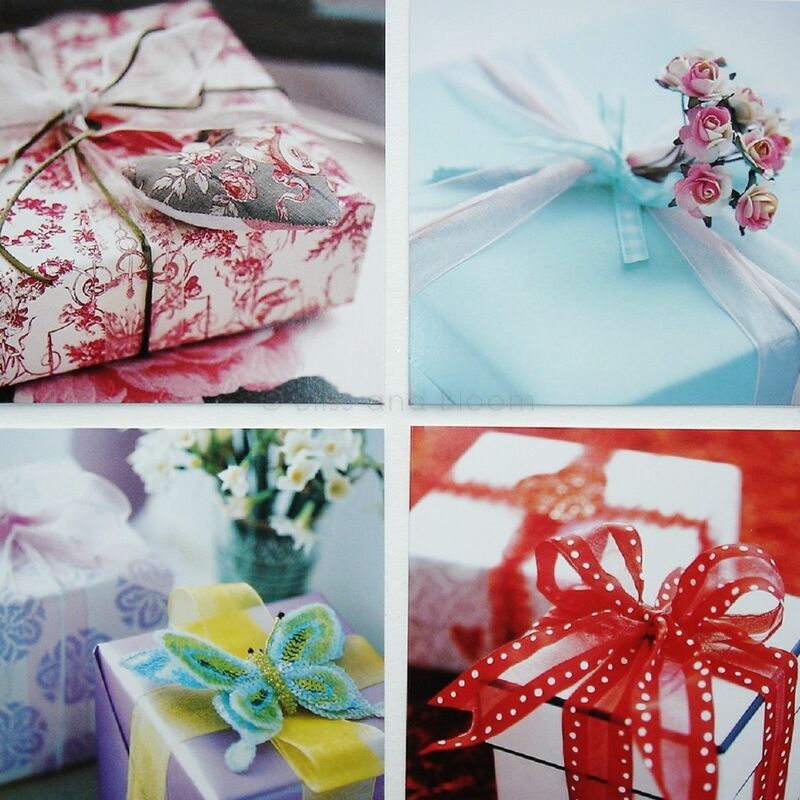 Wrapped gifts notecards. 20 note cards, five of each in 4 designs with coloured envelopes. Each card 130 x 130 mm and is blank inside. Free delivery when you buy this product!